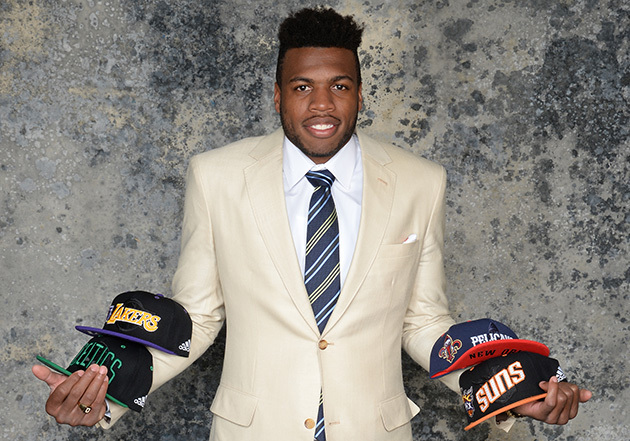 Buddy Hield is the best shooter in the 2016 NBA draft, but is that enough to make him the first guard selected? With the NBA draft fast approaching, SI’s Scouting Department is offering a rare look at its intel on an elite prospect. What is a Buddy Hield? He’s the best shooter in this draft—and its best bet to stick as a starting two-guard in the NBA. During the 2015–16 season, Hield was the best volume scorer in college basketball and the most captivating player of the first two weeks of the NCAA tournament. His Sooners started a three-guard lineup; two of them were definable as combos (Isaiah Cousins and Jordan Woodard) while Hield operated in always-looking-to-score mode. Nearly 23% of his possessions came in transition, as he would leak out after opponents’ misses and run the wings for an Oklahoma team that had the fastest tempo in the Big 12. Hield typically began his halfcourt possessions in one of the corners, and then (with almost equal frequency) either ran off screens to for catch-and-shoots, handled the ball in wing pick-and-rolls, or isolated to set up off-dribble pull-ups. As defenses increasingly hounded him—”Everyone plays me tight right now,” he said at the Final Four—he found space to shoot by extending his three-point range to NBA distance, without sacrificing much accuracy. Hield is a perpetually cheery Bahamian, from Eight Mile Rock, outside of Freeport, and he enjoys late-night shooting workouts set to dancehall-reggae SoundCloud mixes that are played at the same decibel level that’s produced by a jackhammer. The deal was that Hield shoots so much that he could tell the ball was inflated beyond the ideal 7.9 pounds per square inch. The managers appreciated his advanced feel, but they had to implement a NO MORE NEEDLES policy for Buddy. They would do the deflating from then on, rather than risk their star scorer (or a teammate) getting hurt in some freak, sock-needle stabbing incident. I observed three practices this season in the gym attached to the Lloyd Noble Center—one in January and two in March. In each case, Hield’s allergy to downtime was evident. He seems to need a ball in his hands at all times, and during every break, no matter how brief, he finds a way to attempt a shot. Hield’s group of four is waiting its turn to run a full-court drill, and the action is at the other end? He’s putting up a shot. The team breaks its center-court huddle and heads toward drill stations? He’s putting up a shot. Everyone’s turning their practice jerseys to the crimson or white side out after being assigned scrimmage teams? He’s changing his jersey quickly enough so he has time to take a few shots before the action resumes. Such behavior makes sense if you’ve seen that hoop from his grandparents’ yard in the Bahamas—the one with the milk crate, its bottom cut out, nailed to a long plank of scavenged wood. The young Hield had such a yearning to put up shots that he constructed his own goals, driving his grandparents nuts in the process (says Swann: “My mother used to say, ‘I want to kill this boy, because he’s always bringing trash in my yard.’”). When Hield is in a modern practice gym, surrounded by six perfect hoops, he cannot resist taking advantage of them. In part because Hield attempted plenty of high-difficulty, off-dribble shots, he did not blow away the field in off-dribble efficiency, ranking in the middle of the pack among 2016 shooting-guard prospects. However, his 0.98 PPP was significantly better than the 0.73 PPP posted by his main competition to be the first two-guard drafted, Kentucky’s Jamal Murray. The playmaking aspect of Hield’s game is limited. He averaged just one assist per 10 possessions used this season, and had an assist-turnover ratio of 0.66-to-1—but Oklahoma wanted him to have that score-first-second-third-and-fourth mentality. I’m curious how he’ll adapt to an NBA role as a non-go-to guy, and whether he can attack from the wings and create shots for teammates. There are, however, reasons to regard Hield as a different (and more attractive) kind of late bloomer: He didn’t get much skill development in the Bahamas prior to his arrival in the U.S. in 2010, and his shot underwent a complete makeover at Oklahoma—from a long, low motion with weird elbow position and a release point on the wrong side of his face, to the picture-perfect, repeatable form he has now. He was excellent once his mechanics caught up with his work ethic. Hield is a sugar fiend. His fuel during breaks in his January shooting workouts was handfuls of Haribo gummy bears and swigs of Monster Energy drink. 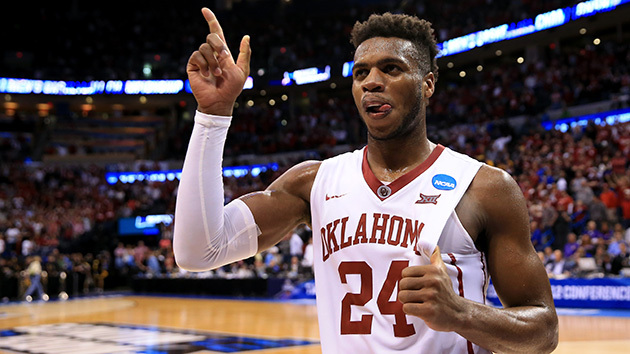 In March, when the Sooners were playing in Oklahoma City for the opening rounds of the NCAA tournament, he put out an urgent Twitter call for a “care package”—of Red Bull, Haribo and Snickers—to be delivered to the team hotel to give him an energy boost. For the latter half of this season, Simmons, another brother, Kervin, and Swann all lived with Hield (and teammate Isaiah Cousins) in his campus apartment, alternating between the bed, an airbed, the couch and the floor. There were many nights in which Hield—as a college senior—shared his bed with his mother. “He wanted us there,” Simmons says. “Him looking at us is key to him not forgetting where he came from, to not getting satisfied. He feels like, ‘I’ve got a family to feed, so I can’t slack at all.’ A lot of people at home said we weren’t going to amount to anything, and we beat the odds.